Keita Takahashi, creator of such this-is-your-game-on-mushrooms titles as Noby Noby Boy and Katamari Damacy, has moved on and left his works in the hands of Namco Bandai. Takahashi, one of the most eccentric designers in an already-eccentric industry, was known for colorful and off-beat games that really had to be seen to be believed. Lately, however, Takahashi had been down on the games industry, describing the future of gaming as "dull" and calling his then-home-company Namco Bandai as "so-so". It is unknown where Takahashi will end up, but it might not even be in the games industry. 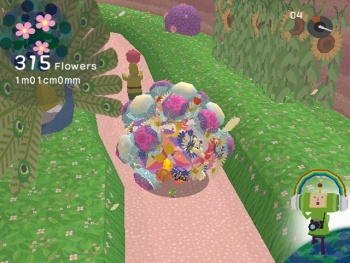 Earlier this year, the Katamari creator said that he was actually "not thinking about a future in games. It's not that I'm not interested in them, but I want to try lots of different things." Maybe he'll go build more playgrounds.